Or how can time fly so fast? 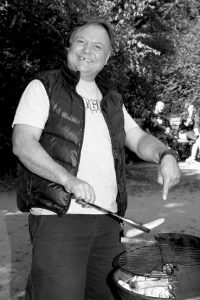 The host, the OG Wolfganster taking care of the BBQ. Thanks for the invite and a great session. Max Strauß made smith grinds over the stairs look easy, but they are, not belive me. It´s time to give something back………….but first a little flashback to the beginings. 1976 I found the German Skateboard Magazin at the newsstand in our supermarket, but my inner voice was not loud enough. 1977 my inner voice yelled so loud at me in the supermarket that I could not resist anymore and had to buy this plasticboard with super hard and open bearing wheels. This is how it started, so many years of total madness rolling every day. Not even even freezing cold, wind, rain, snow or black ice could stop me. This was pre transition skating so it was mostly bombing steep hills, high and long jump, slalom and freestyle. We basically streetskated, but that term wasn´t invented yet. seeing them all skate vertical was mindblowing to say the least. The first time skating a halfpipe and as we were there by ourselves it wasn´t easy to really figure out how to do it. Even just to push fakie was hard to imagine, funny isn´t it? We had not seen anyone do it, just the pics in the magazines and yes, skatevideos came out way later. Back then grinds where the hardest….today skateboarding is on another level. So after the first experience with a halfpipe I was totally hooked. The closest one was 50km, in winter time the closest inddor ramp was 150km one way away. And I did not even have a drivers licence yet, but that could not stop me. If you´re infected you will do anything for it. So I saved all my money only to being able to go skating and travel. England was high on the list, it had some of the few good concrete parks in Europe back then. 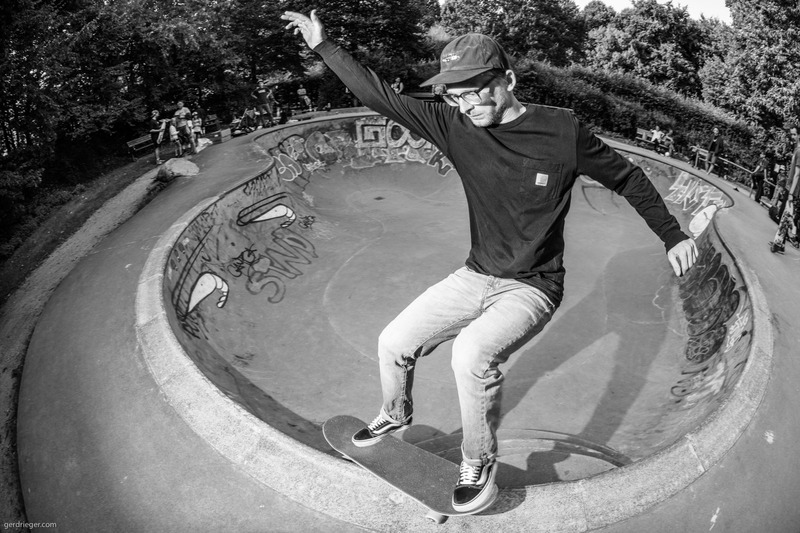 But also traveling all over Europe and skating rad spots and meeting the skaters and making friends was an experience not to be missed. The trip to California (the heaven back then) and Florida, was a definite dream and being able to skate the spots with the guys you only knew from the mags was a the best! 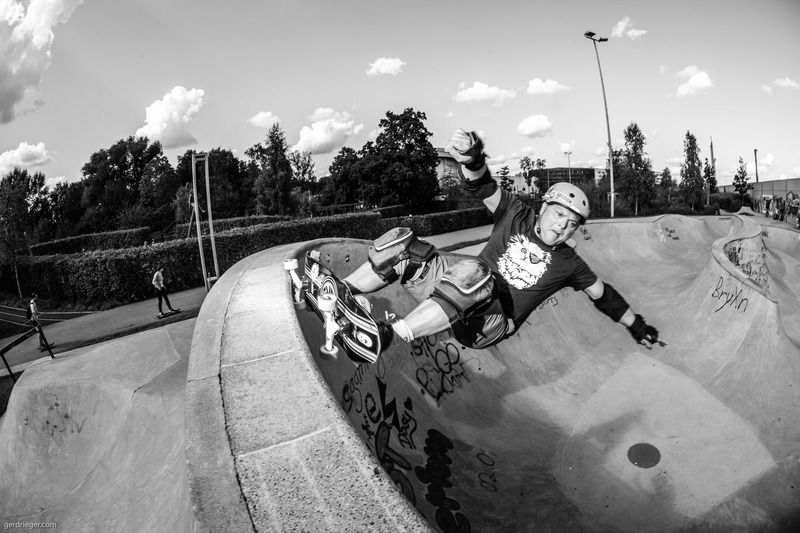 I started to travel more than ever and have skated so many places all over the world. Yes, you all should go out – travel somewhere that’s the best experience for everything in life ever. 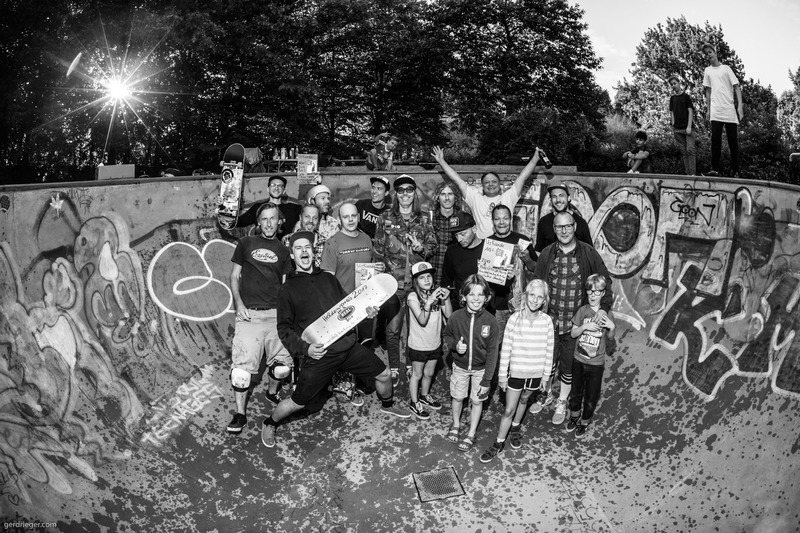 I could sit here and write funny skateboard stories for hours, but what I wanted to do is give back a little after skateboarding gave me so much over all the years. So the idea came up the invite friends and everybody who loves skating for a session and give out some stuff to the hardest rippers at the end of the day. I opend my box of skateboarding stuff for prices, bought a lot of beer and food for the BBQ and lets have a BIG fun session with prices to support also the younger ones and make them more fun to skate. Rick Arthur Mc Phail for being a great DJ with very BEST 80´s Punk + New Wave collection, exaclty what I wanted!!! 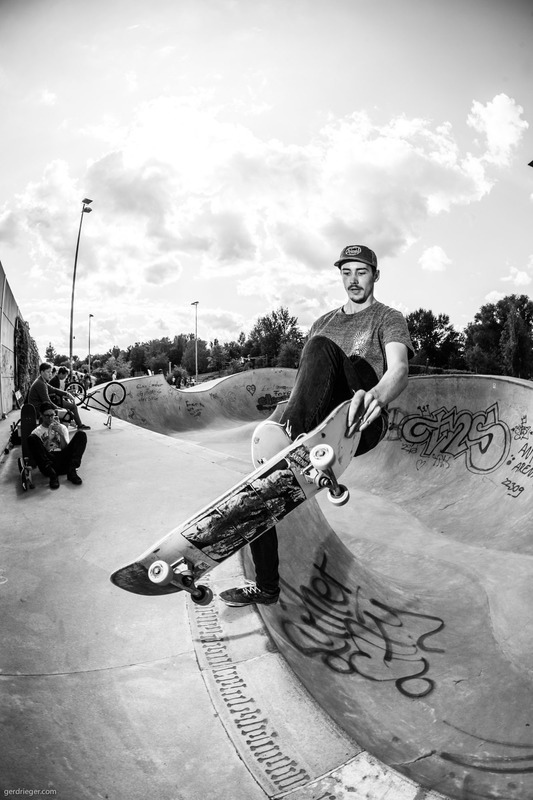 Johan Fründ from Koloss Skateboards, for the support and sponsering some cool stuff. and also all the friends who made this great session happening.